In 1996, I was a CPA, but my passion, what I enjoyed in my spare time, was food and cooking. My love of farming grew first out of my own desire to have the very best in my own kitchen and for my family. After taking a pesticide applicators class, I began working in local community gardens to understand how food was grown before chemical application. In 2000, I quit my office job, and decided to find a work that would fulfill my heart, and I was overwhelmed with the depth and quality of what Houston could produce twelve months out of the year. 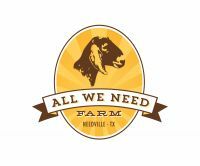 In 2004, my husband and I bought a few acres in Needville and our family started to grow our own food. I found a hungry market eager to find delicious, hard to find, produce. 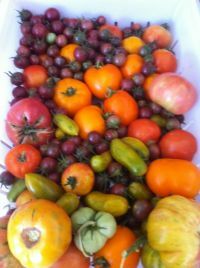 I began to sell to our produce to restaurants in Houston and at farmer's markets. We bought chickens for eggs and started a vegetable and egg CSA. In the fall of 2013, I started a pasture remediation project using heritage pigs to eradicate nutsedge without using sprays. We bought a few dairy goats for our children in 2008, and our herd had grown considerably. Our CSA was strong until February of 2014 when it all became to much to operate... goats, chickens, pork, vegetables. I was doing too much. I took a break from vegetable production to consider opening a dairy. And then after a full year of considering our next steps, milking and planning, thinking and praying, I opened a Grade A diary in April of 2015! I would love to say that life is just a steady progression. But, life is 2 steps forward, and 1 step back, but I keep moving forward. I could write a book, but I'm not done yet. We make an award making product (several awards). Please connect with me and be a part of this journey. It's 2019 now, the number of stores who carry our product has grown. The number of farmer's market we serve has grown. And I owe it all to those who have supported me every step of the way. Thank you! !